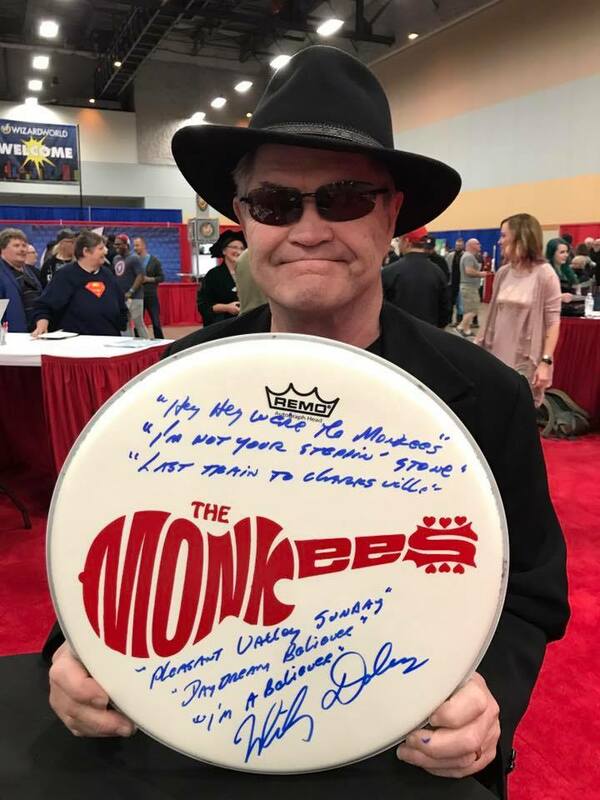 Micky Dolenz comes to Northeast Comic Con June 18-19 at the Shriners Auditorium in Wilmington, MA near Boston to celebrate the 50th Anniversary of The Monkees TV show on which Micky starred as the drummer and lead singer of the pop music sensations. Micky will be meeting fans to sign autographs and have photo ops, along with a Panel with Q&A on his long history in Television, Music and Broadway, and will be performing several of his classic Monkees hits at the official after party in the Fez Room at the Shriners following the show floor closing on Sat June 18, the longest day of the year (Summer Solstice). There will also be a replica of the original Monkeemobile from the TV show, and photo op sessions with Micky and The Monkeemobile will be available both Saturday and Sunday. Micky first established himself as a performer at age ten when, under the stage name of “Mickey Braddock,” he starred in his own first TV series, “Circus Boy,” which aired on NBC and then ABC from 1956 to 1958. In his early teens, Micky guest-starred on a number of television shows. 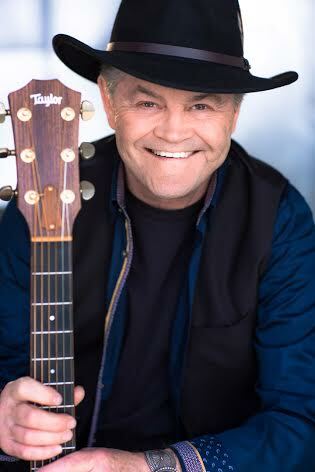 As he graduated high school and began attending college in the mid-‘60s, Dolenz also learned to play guitar. He soon began to perform with a number of rock ’n roll bands, including one called The Missing Links. The Monkees’ debut single, “Last Train to Clarksville,” featuring Micky on lead vocals, hit the charts on September 10, 1966 and rocketed swiftly to number one. Two days later, the television show debuted on NBC to great success. The TV ratings remained high for two seasons, and the show won two Emmy awards for the first season for “Outstanding Comedy Series” and “Outstanding Directorial Achievement in Comedy” going to veteran director James Frawley. In the early 1980s, while in England, Dolenz directed a stage version of the Alan Parker-directed 1976 feature film Bugsy Malone—the cast of which included a then-unknown 14-year-old Welsh actress named Catherine Zeta-Jones. From 1983 to 1984, he was also responsible for creating and producing the British children’s television show Luna. In 1986, the popular cable channel MTV re-broadcast episodes of The Monkees, exposing a whole new generation to the show and “Monkeemania.” Freshly back to the States, Micky joined with former Monkees bandmate Peter Tork to record new tracks for Arista Records. The first single, “That Was Then, This Is Now,” became The Monkees’ first Top 20 record since 1968. Micky, Peter and fellow Monkee Davy Jones then subsequently reunited for a stellar 1986 summer tour, so successful that it sparked the reissue of all Monkees’ classic LPs, as well as Pool It!, on Rhino Records. At one point in 1987, there were seven Monkees’ albums on Billboard’s Top 200 LPs chart. By 1996, The Monkees again joined together; this time, for a “30th Year Reunion” summer tour across America. The response was so great that they toured again the following year, this time finishing up in England. Ultimately, The Monkees achieved their greatest success not as a TV show but as viable recording artists; selling in excess of 65 million units, and achieving worldwide success. Their first four albums—The Monkees (1966); More of The Monkees (1967); Headquarters (1967); and Pisces, Aquarius, Capricorn, & Jones, Ltd. (1967) all reached the number-one position on the charts and launched three number-one singles: “Last Train to Clarksville,” “I’m a Believer” (both with lead vocals by Micky), and “Daydream Believer.” The group’s first five albums also went platinum. In 1993, Micky’s autobiography I’m A Believer: My Life Of Monkees, Music, and Madness (Hyperion/Disney) was published. In addition to writing, Micky has divided his time between acting (The Drew Carey Show, Days Of Our Lives, and General Hospital); directing (Boy Meets World for ABC/Disney, and Pacific Blue for USA Networks); and touring with his own band featuring his sister, Coco Dolenz. 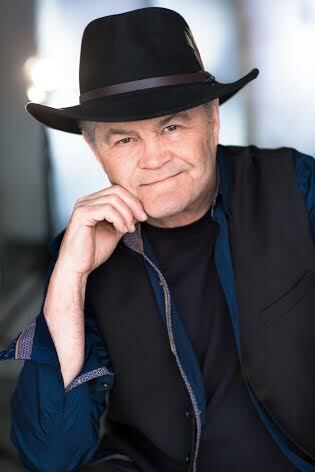 In 2005, Dolenz was also on WCBS-FM as a morning “drive-time” on-air personality, and soon wrote, along with illustrator David H. Clark, his first children’s book, Gakky Two-Feet (Putnam/Penguin) as well as the Buzztime Trivia-associated game book Micky Dolenz’ Rock ’n Rollin’ Trivia (Square One Publishers). June 2006 saw Dolenz onstage again in the role of “King Charlemagne” at the Goodspeed Opera House for the revival of the musical Pippin in East Haddam, Connecticut. He also toured later that year in the role. In 2007, he appeared in Rob Zombie’s bloody remake of Halloween as “Derek Allan,” the somewhat eccentric owner of a gun shop where Dr. Sam Loomis (played by British actor Malcolm McDowell) buys a gun in his search for the famously murderous Michael Myers. In April 2007, Dolenz was featured on FOX-TV’s American Idol on the “Idol Gives Back” episode, when the show filmed celebrities singing and dancing to the Saturday Night Fever hit “Stayin’ Alive” by the Bee Gees. Micky also participated in the 2008–09 season of CMT’s reality-TV music show Gone Country, competing against fellow celebrities Sheila E. (who eventually won), Taylor Dayne, George Clinton, and actor Richard Grieco. The close of the tour, held at the Greek Theatre in Los Angeles, California was especially joyous, as both fans and friends turned out for the event. They also appeared in August on the nationally broadcast talkfest, ABC’s talk show The View, with Dolenz’s old compatriot Whoopi Goldberg as one of the hosts. With a series of Davy Jones tributes scheduled, one done in early April at B.B. King’s in New York, Micky then spent the summer of 2012 on a series of solo shows with his band and as part of the 2012 “Happy Together” tour. Micky also recorded a live album on October 19, 2012 at B.B. King’s in Manhattan (with an introduction by Q1043’s Jim Kerr), New York; and then, in a surprise move to Monkees fans everywhere, Micky regrouped in November with Peter Tork and the long-absent fourth Monkee, Michael Nesmith, for a series of Monkees reunion shows in the summer of 2012. Micky also debuted a new show, called A Little Bit Broadway, A Little Bit Rock ‘n Roll, which seamlessly combined several Broadway songs (“Mr. 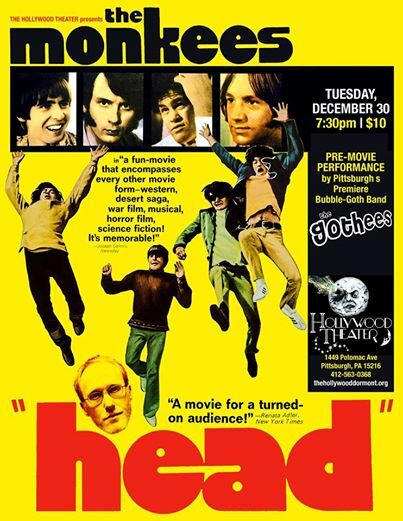 Cellophane” from Chicago; and, “One Of The Good Guys” from the play Closer Than Ever) to his patented-Monkee-classics, including Lieber-Stoller’s classic “D.W. Washburn” – the connective-tissue to his Monkees/Broadway history. And, from Show Biz 411, “Micky is such a perfectionist; he’s really rehearsed and the put the time in. It shows. This is no slapdash appearance by a former pop star. He’s a serious, engaging performer. When he was in the Monkees, no one believed that Micky actually sang and played instruments. He surprised everyone. The three shows were all sell-outs, resulting in a quick return engagement next month. The live album from the first set of shows was released in late-September on Broadway Records. 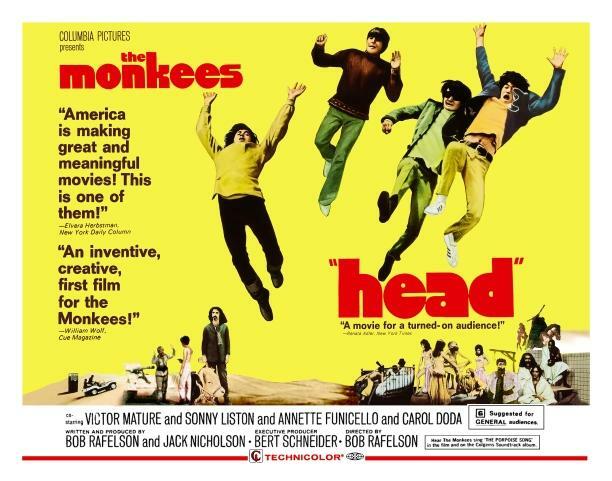 2016 marks the Monkees 50th anniversary! Look for a new album release and nationwide concert tour. 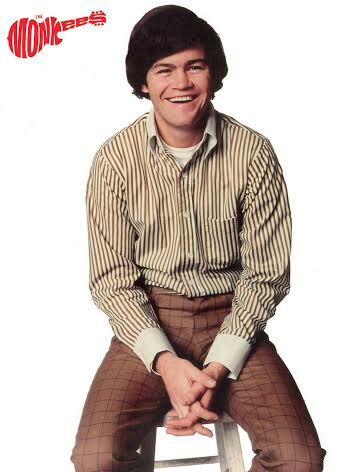 Actor, singer, director, producer, writer, radio DJ, inventor, and all-around performer extraordinaire, Micky Dolenz stands tall as a paragon of taste and accomplishment in the rough-and-tumble world of show business and entertainment. And oh, by the way – he remains a believer . . .